•	COMO LO PREDICAMOS HACE UNA SEMANA SI HAY ALGO QUE ESTA UTILIZANDO SATANAS PARA DESESTABILIZAR NUESTRAS VIDAS, NUESTRAS FAMILIAS, NUESTROS MATRIMONIOS SON LOS CONFLICTOS. •	Y TAL COMO LO DICE EL APOSTOL PABLO EN LOS VERSICULOS QUE HEMOS LEIDO LOS CONFLICTOS SON TRIBULACIONES QUE ESTAN FUERA DE NOSOTROS PERO QUE LOGRAN HACER, SI NOSOTROS SE LO PERMITIMOS, ATRIBULARNOS EL CORAZON. •	SEGÚN ESTE VERSICULO QUIEN TIENE QUE OIRNOS EN EL DIA DE CONFLICTO? DIOS!! PERO NO ES CIERTO QUE EN LOS CONFLICTOS QUE ESTAMOS ENFRENTANDO EN NUESTRA VIDA EL QUE MENOS NOS OYE ES DIOS, PUES NO LO TOMAMOS EN CUENTA. •	CUANDO TENEMOS CONFLICTOS TENEMOS LA MALA COSTUMBRE DE ANDAR CONTANDOSELO A TODO EL MUNDO, PERO SERA QUE TODO MUNDO TIENE LA RESPUESTA?? •	LA RESPUESTA A NUESTROS CONFLICTOS NO LA TIENE TODO MUNDO, UNICAMENTE LA TIENE DIOS. •	CUANDO DANIEL ENFRENTO UN CONFLICTO EN SU VIDA QUE HIZO? (DANIEL 6:7-10) DANIEL TENIA UN CONFLICTO CONTRA PERSONAS QUE LE TENIAN ENVIDIA, QUE LO QUERIAN VER DESTRUIDO, PERO EN LUGAR DE QUERER DEMOSTRAR QUE EL TENIA LA RAZON, EL SE ARRODILLABA 3 VECES AL DIA ¿Cuántas VECES AL DIA LO HACE USTED PARA ENFRENTAR ESE CONFLICTO?? •	PARA ENCENDER FUEGO SE NECESITAN TRES ELEMENTOS INDISPENSABLES: COMBUSTIBLE, OXIGENO Y CALOR. SI ALGUNO DE ESTOS ELEMENTOS NO ESTA PRESENTE NO PUEDE HABER FUEGO. •	PARA QUE HAYA CONFLICTO HAY TRES ELEMENTOS: SATANAS, LAS OTRAS PERSONAS Y NOSOTROS. •	NO PODEMOS IMPEDIR QUE SATANAS INFLUYA EN LAS DEMAS PERSONAS, NO PODEMOS HACER QUE LAS PERSONAS REACCIONES DE UNA MANERA DETERMINADA, PERO SI PODEMOS NOSOTROS DECIDIR SER PACIFICOS. •	ABRAHAM TENIA UN CONFLICTO CON ABIMELEC POR UN POZO QUE SUS SIERVOS LE HABIAN QUITADO, Y CUANDO LE RECLAMO POR ESTO, SE DIO CUENTA QUE ABIMELEC NO SABI ABSOLUTAMENTE NADA DE ESO. •	ESO NOS MUESTRA QUE MUCHAS VECES LO QUE NOSOTROS CONSIDERAMOS PLEITOS, AMENAZAS, CONFLICTOS, SON MUCHAS VECES MALOS ENTENDIDOS QUE SIMPLEMENTE HABLANDO SE PODRIAN RESOLVER. •	PARA RESOLVER NUESTROS CONFLICTOS TENEMOS QUE TENER UNA COMUNICACIÓN FRANCA Y DE FRENTE, NO POR MEDIO DE TERCERAS PERSONAS NI DE CHISMES (PROVERBIOS 26:20) YA PAREMOS CON EL ME DIJERON, ANDAN DICIENDO, DECILE A ESE, ANDA Y DECILE, ETC. •	EN LOS CONFLICTOS TENEMOS QUE RECONOCER QUE TAMBIEN NOSOTROS TENEMOS ALGO QUE MEJORAR. 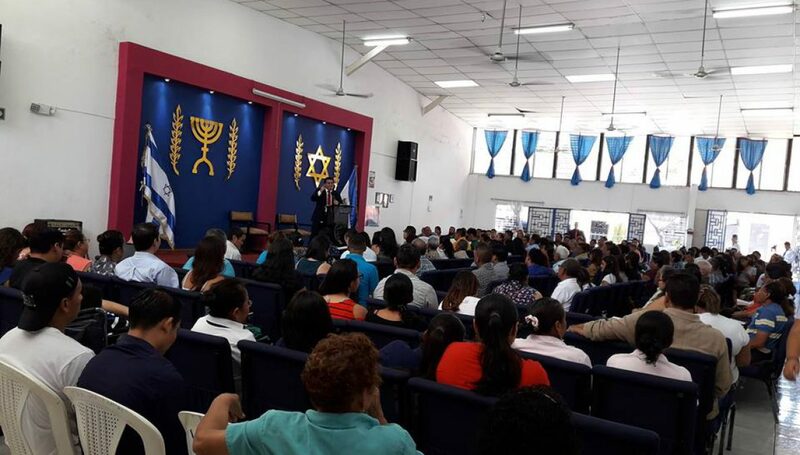 RECONOZCAMOS QUE COMO HIJOS DE DIOS TENEMOS QUE SER AGENTES DE PAZ Y NO DE CONFLICTO. Publicado el agosto 8, 2012 por Pastor Oscar FloresPublicado en UncategorizedEtiquetado AGENTES DE PAZ, COMO RESOLVER CONFLICTOS, CONFLICTOS, PACIFICADORES.